New to your blog and really enjoying it. And I’ll be following your skirt progress, since I’m making the same skirt. The hips were snug on me too, but the waist is proportionally a little big in comparison. I think it’s supposed to be a little “square” at the waist and hang low. I took the seam in a 1/4 inch on each side at the very top of the side seams, tapering to the regular seam at the end of the band and it fits better. But it will make it harder to wear a belt with since there is no belt loop in the back, and the shaping makes the belt want to ride up in the back, if that makes sense. Good luck! Can’t wait to see your skirt! I love this Burda skirt but I can’t pull off anything knee length because my legs are so short. 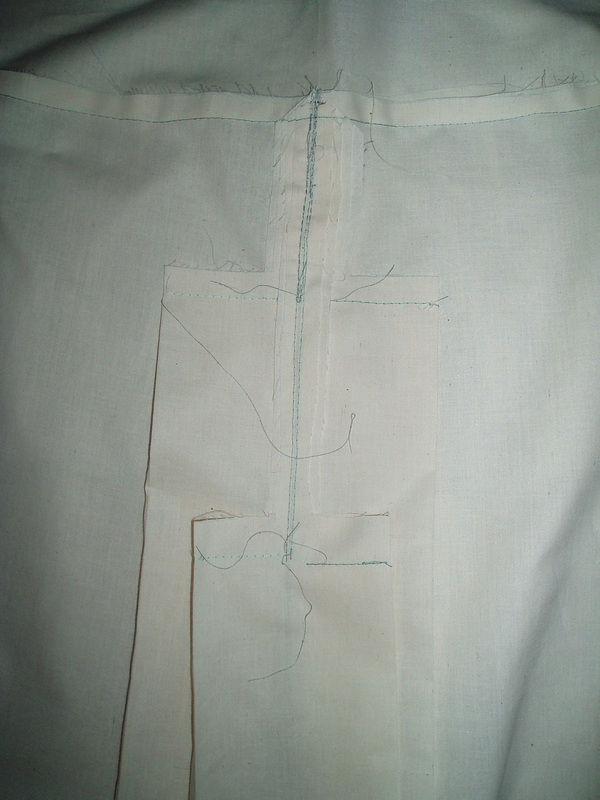 This will look great when you finish – I’ve never done anything with pleats (on my to do list) and this has inspired me. Keep plugging away with class – you’ll always feel better after you’ve gone and done it. Your muslin looks great and I’m happy to hear your sewing mojo has come back. 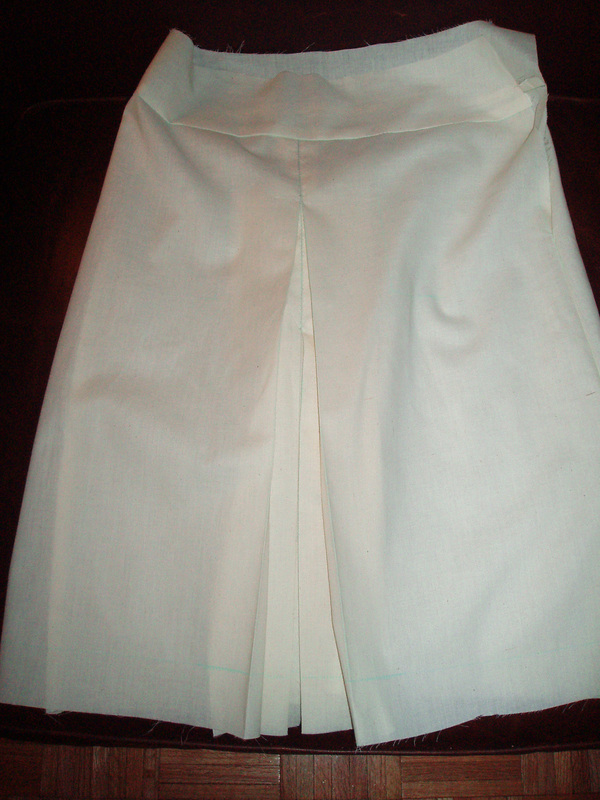 Really looking forward to seeing the skirt finished. Well I guess we know what you will be doing this weekend! Wow, you’ve got a good teacher! Good luck with the project. I totally LOVE this pattern and it is definitely on my to do list when the weather turns a bit cooler here.. thanks for the tips about clipping – I’ll bookmark this post for when I get round to making it.. I have never found Burda to run big on anything.. I wonder if the person who said this pattern ran big used a very loosely woven wool which stretched a lot on sewing??? Anyway, looking forward to seeing the real deal!